This is a comprehensive guide which will help you to take your jewellery designs to the next level. 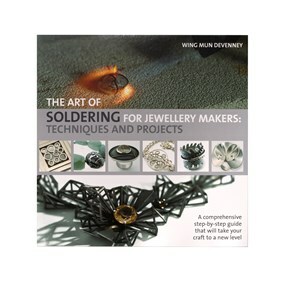 It will take you through the fundamentals of soldering from understanding solder to fixing mistakes. It takes a look at essential tools and materials to create simple to elaborate jewellery pieces. 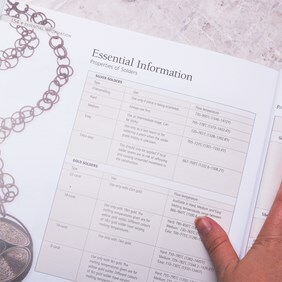 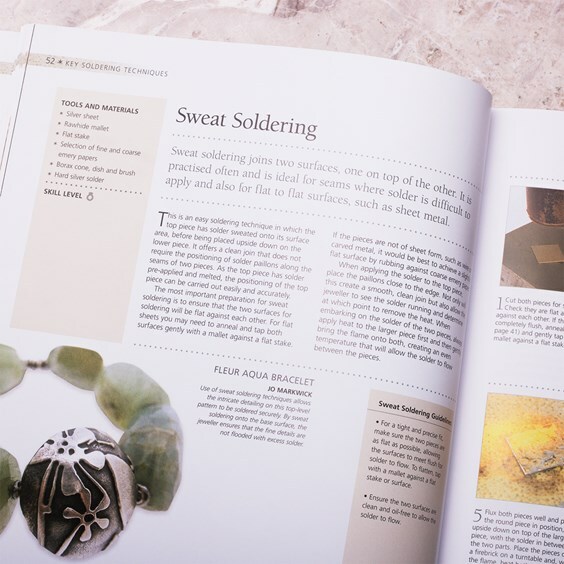 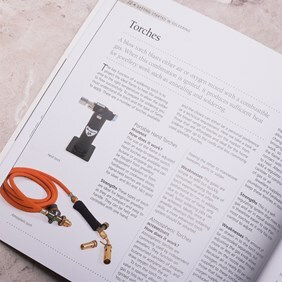 It is suitable for the beginner jeweller who wants to learn more about soldering but it will also be a valued reference book for those who have advanced jewellery making skills. 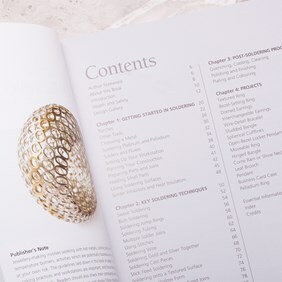 There are 15 projects with clear concise step-by-step instructions and fabulous photography.